Star Achievers Award 2019 - "Best Astrologer in India"
On 30th March 2019, globally-acclaimed astrologer Ankit Sharma won another dignifying and glamorous award of being the "Best Astrologer in India" in Delhi during the magnificent ceremony of the 'Star Achievers Awards 2019'. This award was given to him by Mrs. World & Actress Aditi Govitrikar in gracious presence of many famous celebrities. This highly prestigious award ceremony was organized jointly by eminent Tarot Queen Meenu Sharma & Gem Healer Sanjeev Garg, at Crown Plaza, Emerald Hall, Rohini. The co-sponsor and presenter of this lustrous event were GEMTRE and SevaSetu Foundation respectively. This gala event was accompanied by a scintillating live performance by famous singer and dancer - Shibani Kashyap. 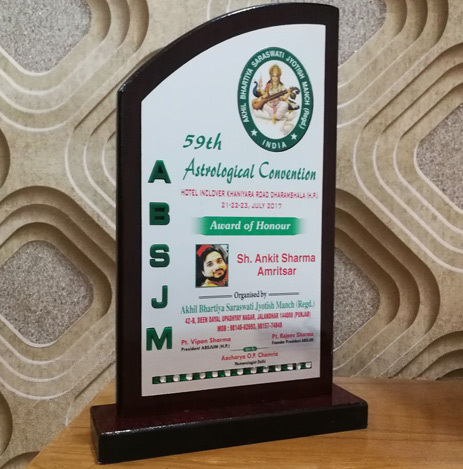 In March 2019, a globally-celebrated and grand astrologer of India, astrologer Ankit Sharma won another precious award during the mega and momentous 'Jyotish Maha Sammelan', in Chandigarh, where the head-office of his globally famous service organization is well-based. Cited as being the biggest international summit on astrology ever held in Chandigarh, this magnificent event was organized by prestigious Shreemukh Jyotish Sansthan from March 22 to 24, 2019 at the Makhan Shah Lubana Bhawan, Sector-30A, Chandigarh. 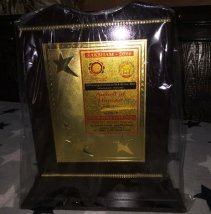 This dignifying award of honor was conferred on him in recognition and admiration of his marvelous and benevolent services in Astrology, Vaastu, Feng-Shui, Numerology, Psychic Reading, Tantras, etc., delivered in India and countries worldwide to contribute to the human welfare and world peace. Globally eminent Indian astrologer Ankit Sharma of Chandigarh most recently won two grand Awards along with the Certificate of Appreciation, during the "Astrology and Ayurveda Event, URJA". This highly significant event on occult sciences was held in Chandigarh from 5th-7th October 2018 at the Exhibition Ground of Sector-34. These prestigious awards were given to him as sincere appreciationof his laudable services in the fields of Vedic Astrology, Ayurveda, and many other Occult Sciences for decades. 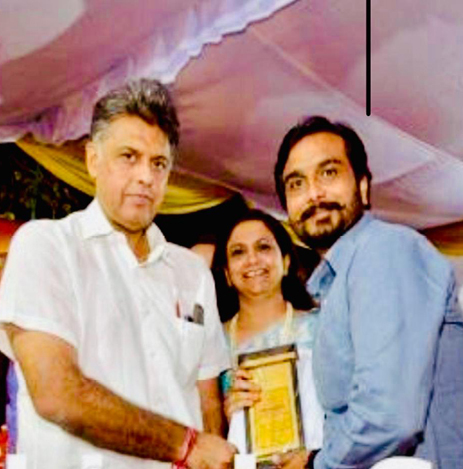 The "JP's Award of Honour 2018" was presented to him by Hon'ble Mr. Manish Tewari, Former Union Minister for Information and Broadcasting & National Spokesperson Congress; while the "Jyotish Prangan's Award of Excellence 2018" was conferred on him by Hon'ble S. Rana Gurmeet Singh Sodhi, the Minister of Sports & Youth Affairs, Govt of Punjab. On 27th November 2017, grand astrologer Ankit Sharma received another gratifying accolade in form of JyotishPrangan's Award of Honour during a magnificent seminar titled as the 'Astrology and Astrologer Seminar' held in Chandigarh (Sector-34, Exhibition Ground). This highly impressive and inspiring astrological event was organized by prestigious organization JyotishPrangan (having its headquarters in Panchkula, Haryana) which has been organizing many constructive events on astrology and other themes from time to time. 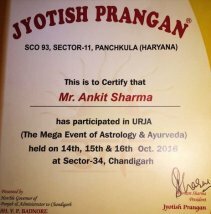 The most striking event of international importance organized by JyotishPrangan recently was 'URJA - The Mega Event of Astrology & Ayurveda' in October 2016 in Chandigarh. Profoundly learned and globally renowned astrologer Ankit Sharma got honored with another exalting and dignifying award, the "Jyotish Vibhushan Award" in Dharmshala (Himachal Pradesh) during a 3-day glamorous ceremony which held from July 21-23, 2017. This award ceremony named as the '59th Astrological Convention' was organized by the Akhil Bhartiya Saraswati Jyotish Manch (ABSJM) at the hotel Inclover, Khaniyara Road. This magnificent award was conferred on him, appreciating and recognizing his immense service contribution to the world of Vedic astrology and to enthusiastic propagation of this esoteric but marvelous science of astrology. 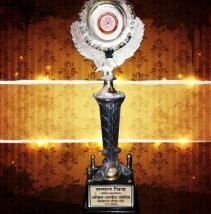 ABSJM is a duly registered andprestigious social organization with its headquarters in Jalandhar, Punjab. 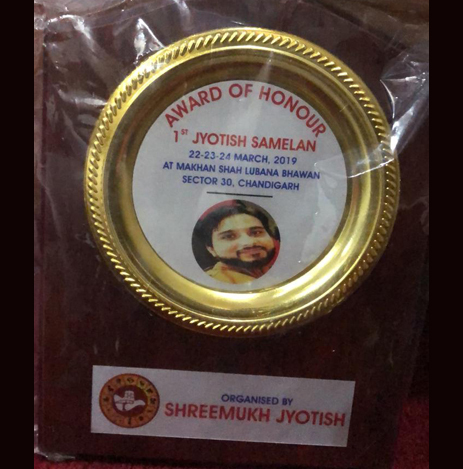 Most recently, world-famous and one of the leading astrologers of India, astrologer Ankit Sharma received the "SAKSHAM-2016 Award" from Jyotish Shakti Sangh during a magnificent event on Astrology named as SAKSHAM. Held from 5th to 6th November 2016 at BPC Jain Hall, Jagadhari Road, Ambala Cantt. (Haryana), this Akhil Bhartiya Jyotish Sammelan - SAKSHAM was organized by the prestigious organization Jyotish Shakti Sangh of Ambala Cantt. This glorious award was given to him for participating in the mega astrological seminar and spreading the splendid light of Vedic Astrology for benefits to people in general. 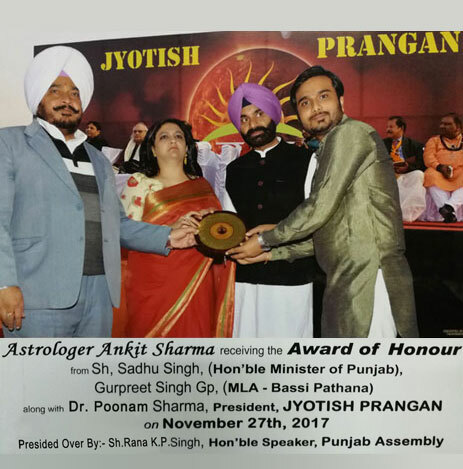 Globally renowned astrologer Ankit Sharma won another prestigious and lustrous award in October 2016, the Jyotish Prangan Award during a magnificent event named as URJA. This mega event of Astrology and Ayurveda, organized by Jyotish Prangan of Panchkula, in association with the Planet Ayurveda, was held in Chandigarh (at Sector-34) from 14th-16th October 2016. In glamorous and gracious presence of over 100 astrologers, vastu specialists, tarot card readers, Ayurveda specialists belonging to India and abroad, grand astrologer Ankit Sharma received the 'Jyotish Prangan Certificate and Award' from the chief guest of the event, Shri V.P. Singh Badnore Hon'ble Governor of Punjab & Administrator to Chandigarh. 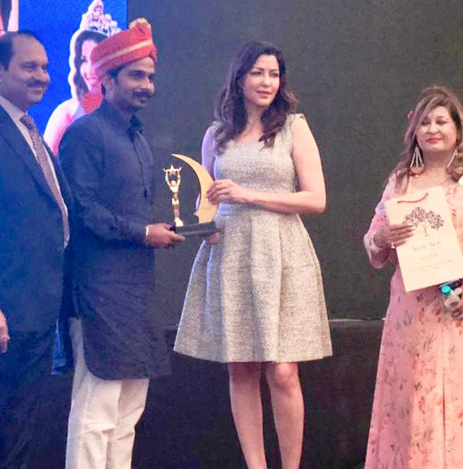 One of the most successful, globally renowned, and reliable astrologers of India, Asia, and the world, Astrologer Ankit Sharma now won the "Kismat Connection Award of Excellence". 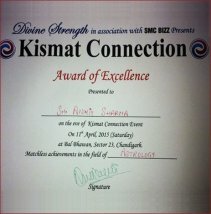 This highly lustrous and distinguishing award was bestowed on him in Chandigarh (India) jointly by the Divine Strength and SMC BIZZ, during a magnificent event named as 'Kismat Connection' held on 11th April 2015 at Bal Bhawan of Sector-23.